On February 15, the Annual Casa Feliz Field Trip ventured to the western edge of Orange County to explore downtown Winter Garden and neighboring communities. 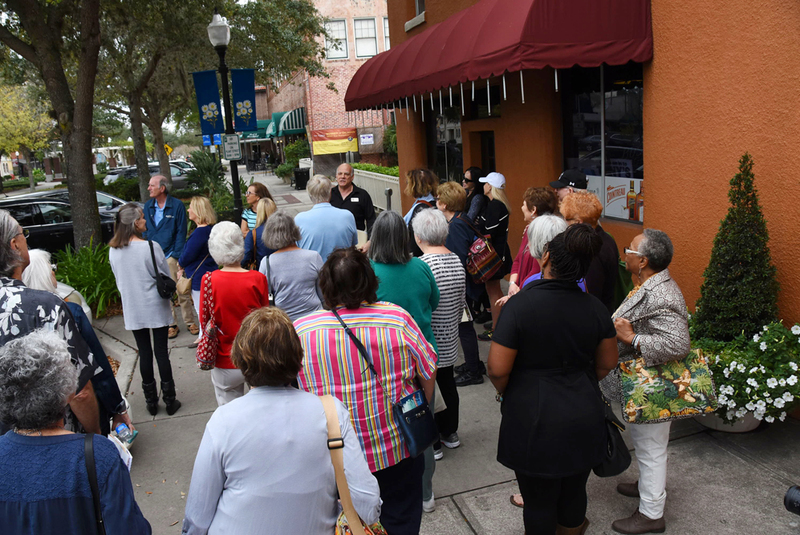 Led by our guide, Jim Crescitelli of the Winter Garden Heritage Foundation, our group learned about the community’s past through its historic architecture and enjoyed insider looks into historic commercial and residential properties. 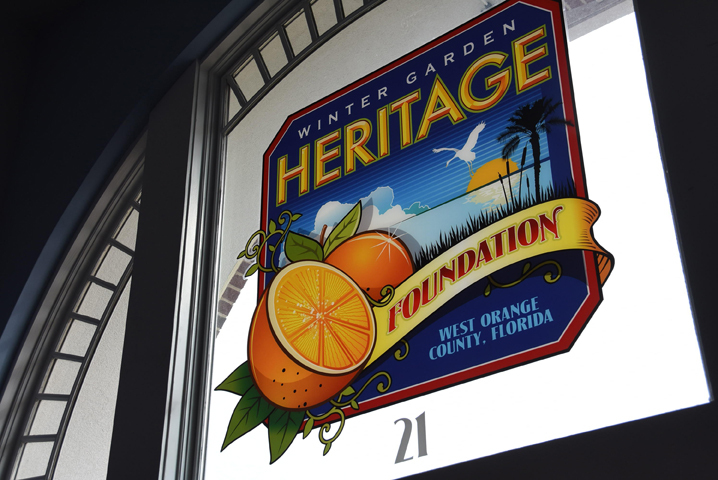 As with many Orange County communities, the citrus industry played a large role in the development of Winter Garden, which at one time shipped more fruit than any other spot in the nation. The two railroad lines that passed through the city furthered its growth and led to the creation of a commercial district. For many years, Winter Garden also enjoyed a thriving tourist industry that was based on its proximity to Lake Apopka, once an international capital of bass fishing. 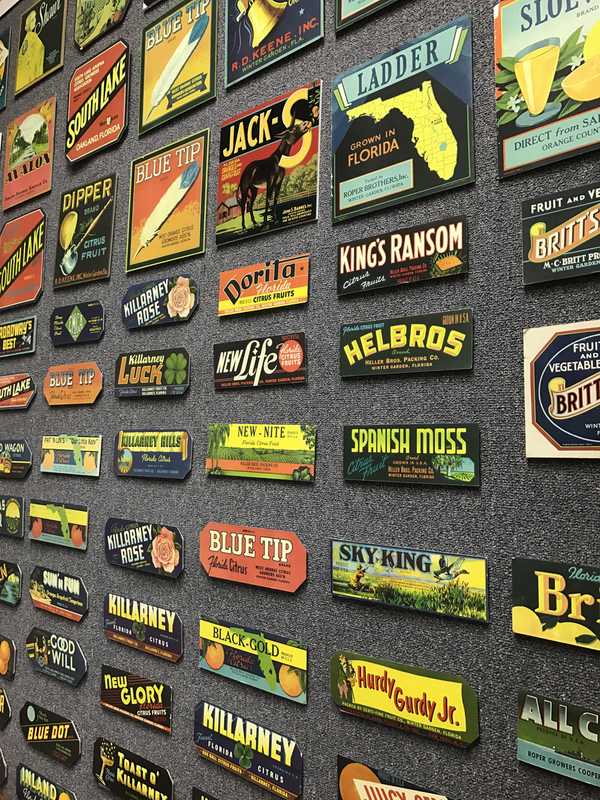 The Winter Garden Heritage Museum, located in the 1918 Atlantic Coast Line railroad depot, features a large collection of local citrus crate labels. Today, the city boasts a bustling commercial district, well-preserved homes, and a sense of pride connected to a fascinating history. We started our tour at the Winter Garden Heritage Museum, located in the historic Atlantic Coast Line Railroad Depot in the heart of downtown. The Winter Garden Heritage Foundation’s adjacent visitor center was built in 2014 to complement the depot’s architecture. Led by Jim, we headed west to explore Winter Garden’s commercial district, which has undergone an incredible renaissance since the 1994 opening of the West Orange Trail, built on the former Atlantic Coast Line rail bed. The trail runs right through the center of Plant Street, Winter Garden’s main thoroughfare. The tour outside Tony’s Liquors, which was constructed in 1913 as the Shelby Hotel, Winter Garden’s first downtown brick hotel. 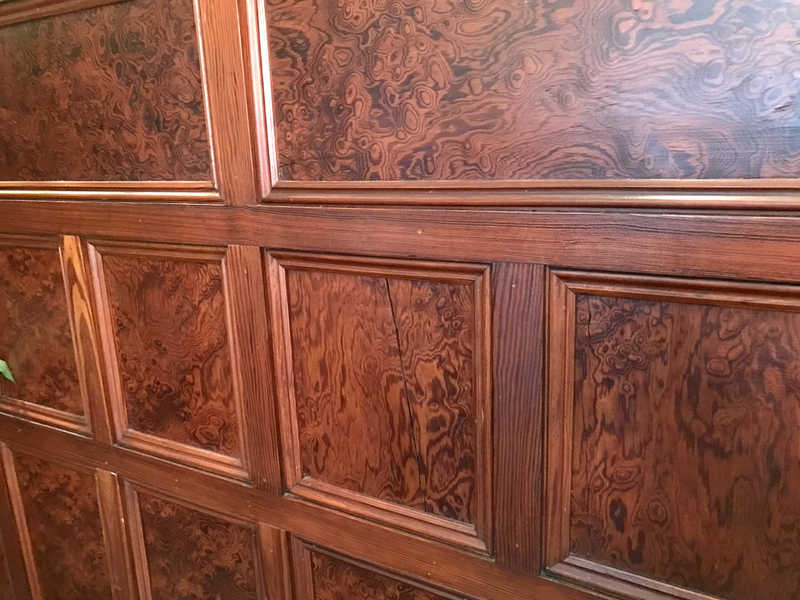 Our first stop was the Edgewater Hotel, developed in the 1920s as a state-of-the art accommodation for the anglers who visited Winter Garden to fish for largemouth bass in Lake Apopka. Opening in 1927, the hotel remained in operation until 1969. 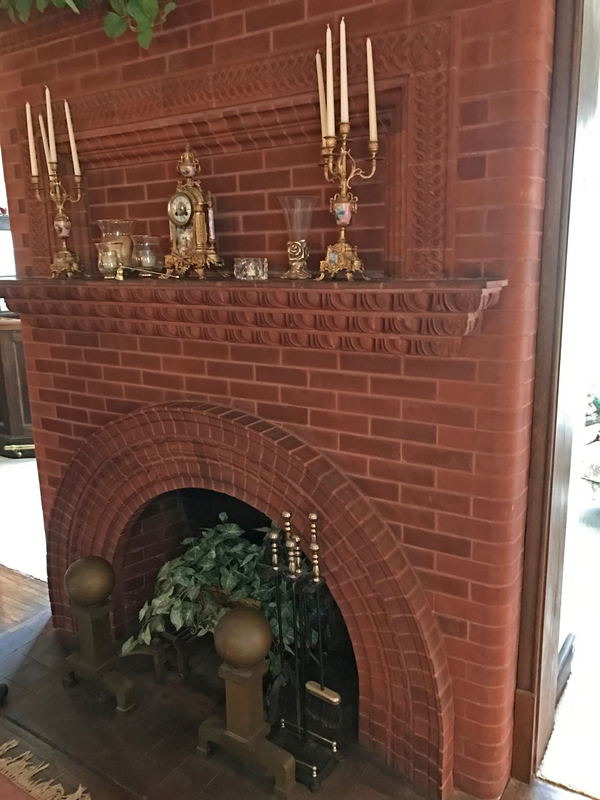 The Winter Garden Heritage Foundation saved it from demolition, and it reopened in 1999 as a bed-and-breakfast inn. 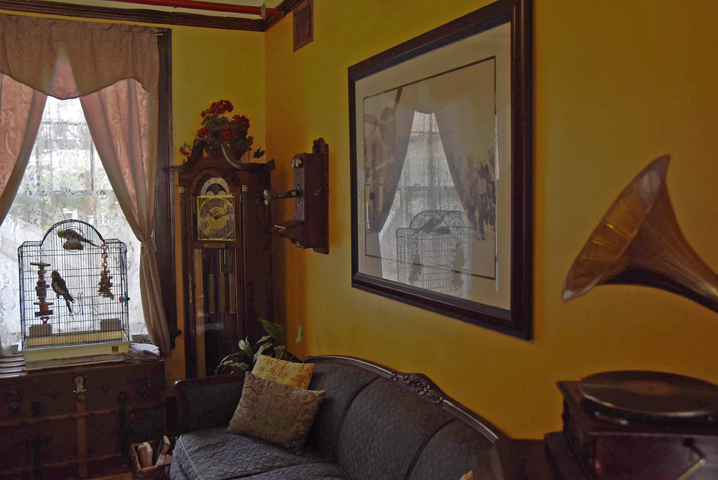 Our tour group was invited upstairs to see some of the historic rooms, lovingly restored with period furnishings. While offering modern conveniences, the hotels strives to recreate an experience for guests of an authentic Florida hotel in the late 1920s. 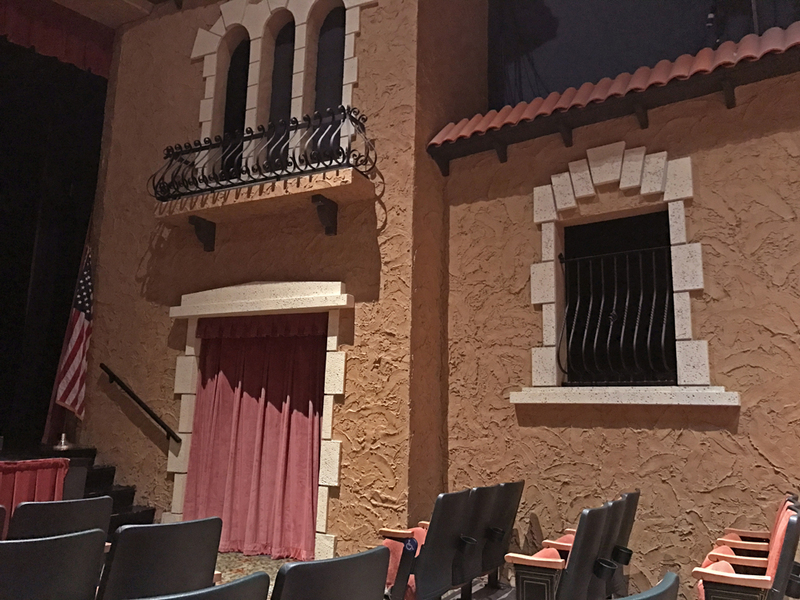 Other stops on our downtown walking tour included Garden Theatre, which opened in 1935 as a charming motion-picture palace and was restored in 2008 to become a performing-arts venue, and the Central Florida Railroad Museum, housed in Winter Garden’s second historic train depot. Built by the Tavares and Gulf Railway in 1913, the depot today is packed with memorabilia and artifacts that document the region’s rich railroad history, from the Dinky Line to the Orange Blossom Special. 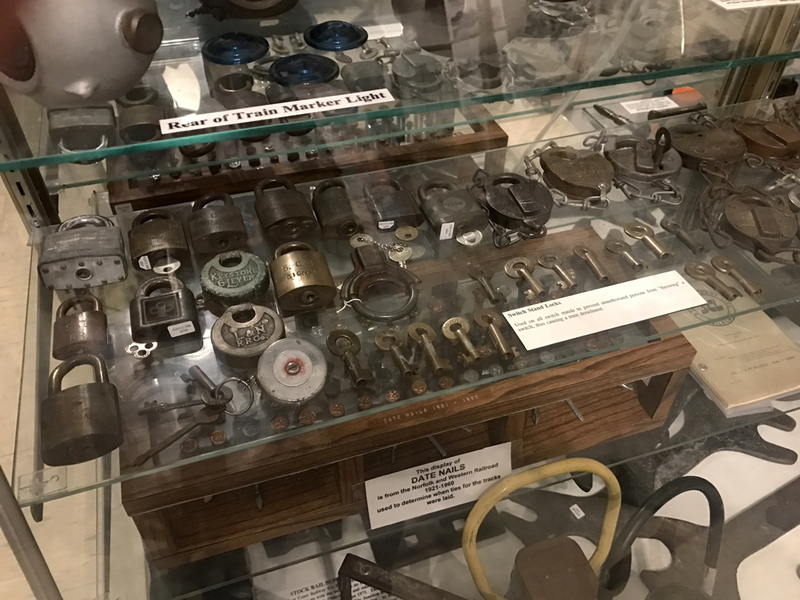 Details of just a portion of the extension collection of railroad memorabilia at the Central Florida Railroad Museum. 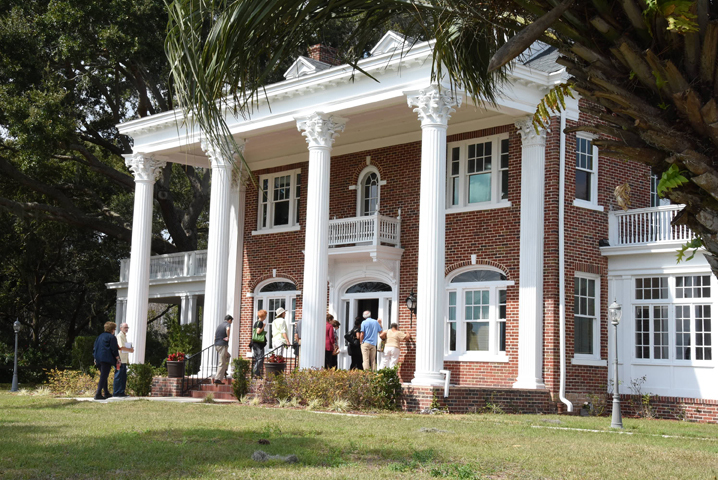 After a delicious catered lunch and an informative presentation on the history of Lake Apopka, we visited the Britt Mansion at Winter Garden’s eastern edge. Built in 1929 by prominent vegetable grower Morgan Britt, the home is a magnificent example of Colonial Revival architecture. The Britt family lived there until 1967. Today, the building houses the Ort Law Firm, whose members were kind enough to welcome us into the interior. During the 1930’s vegetable fields, managed by the Britt family, lined Plant Street, giving the home the aura of a sophisticated farmhouse. 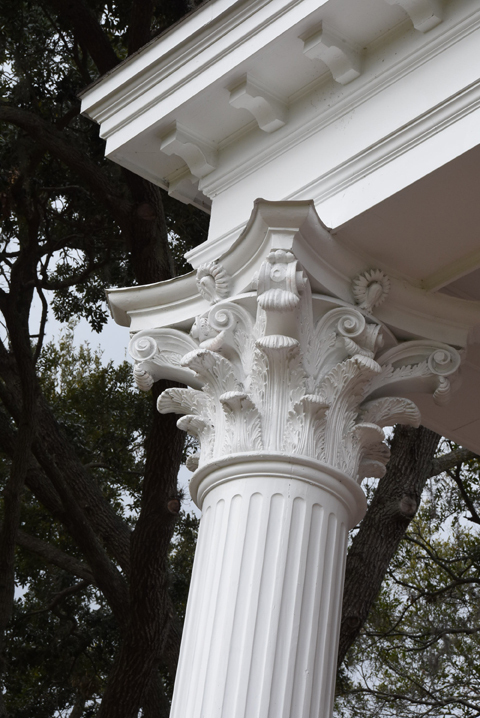 We then traveled west and explored Tildenville and Oakland from the comfort of our motor coach as we learned more about west Orange County’s rich history. Tildenville, located in unincorporated Orange County, was settled by pioneering citrus growers and grove workers. Luther Tilden owned a 561-acre parcel of land that gave the settlement its name. 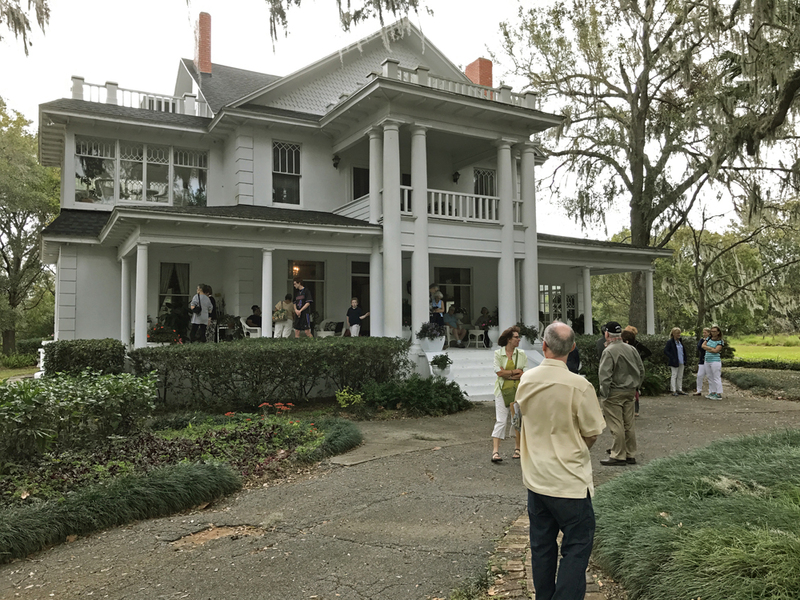 In 1910, Tilden’s son Charles built the grand home that was our last tour stop: Oakland Arms, nestled in a shady stretch of road draped by majestic live oaks. The current owners welcomed graciously welcomed us inside and showed us unique details that included dining-room paneling made from the same pine used for citrus crates and several elaborate terra cotta fireplaces. Charles Tilden, who built Oakland Arms, was one of the largest landowners and citrus growers in the area. Winter Garden is a wonderful destination for a day trip, just a short 30-minute drive from Park Avenue. The city’s cozy commercial core has retained its small-town character throughout its recent development boom, in part through smart architecture that strives to maintain the look of the early-20th-century buildings that line Plant Street. Craft brewery at Plant Street Market. A great example is the Plant Street Market, a new facility that looks and feels a lot like Winter Park’s venerable Farmer’s Market. 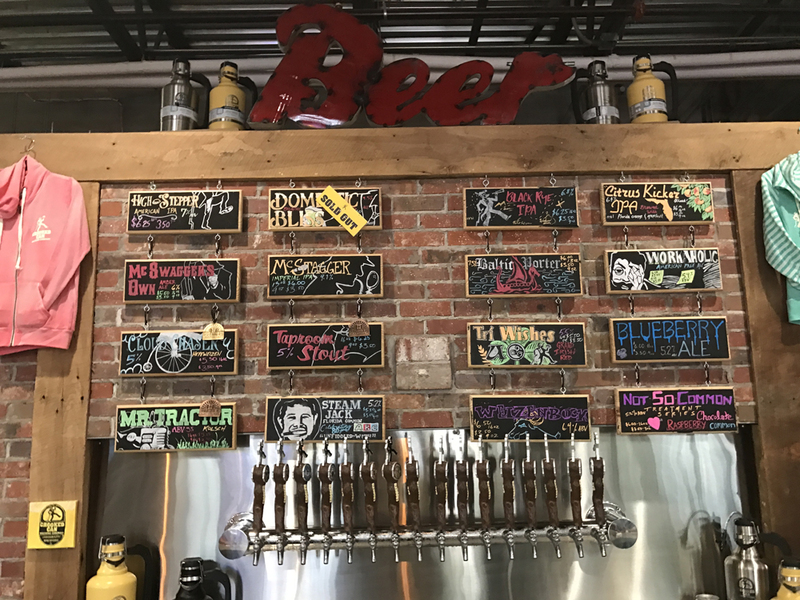 On the outside, the 12,000-square-foot brick building looks like a survivor from the earlier century, but inside it’s all 21st-century modern, with a craft brewery and market-to-table cuisine.